One of my favorite flavor combinations is Chocolate and Mint. 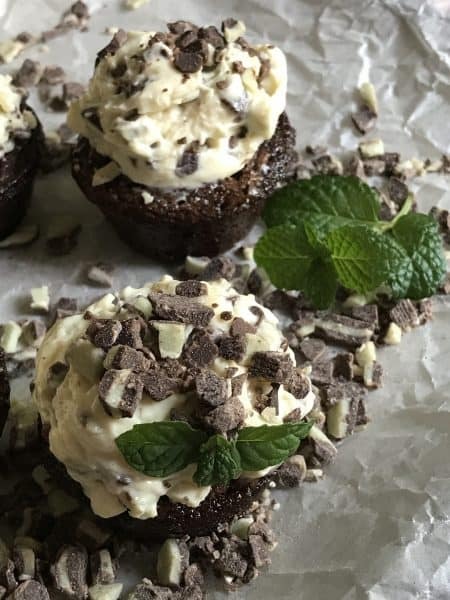 This recipe is a true Chocolate and Mint Lovers Delight! 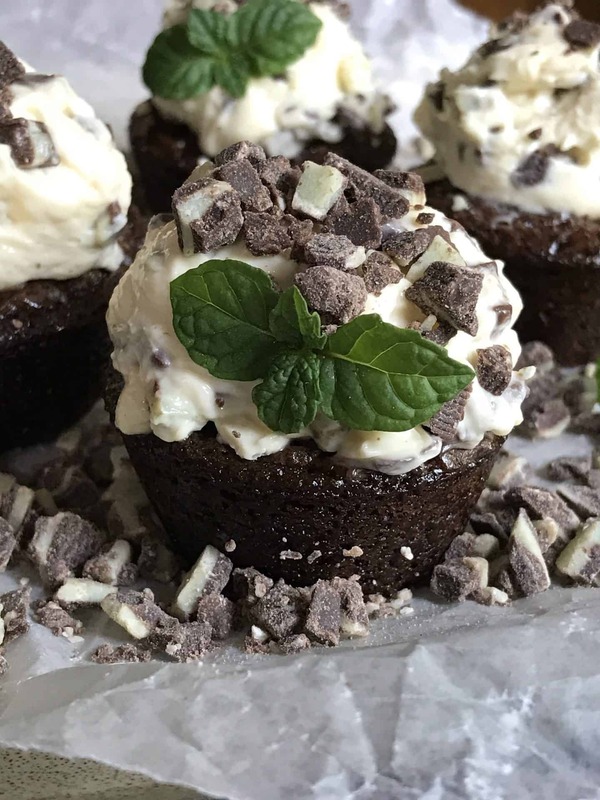 Mini minty cheesecake brownie cups are the perfect example of this flavor combination. 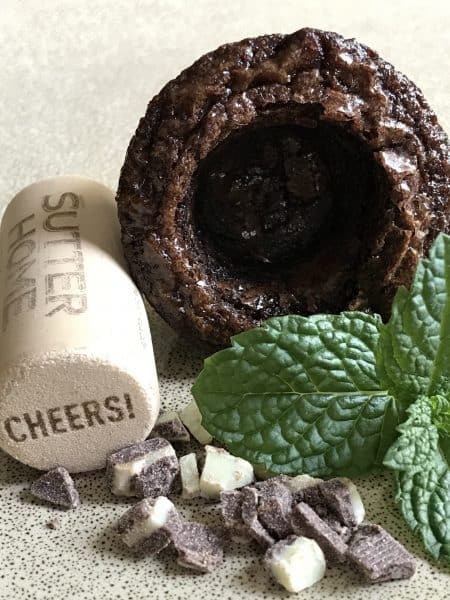 Chocolate and Mint come together beautifully in these quick, easy and delicious Mini Minty Cheesecake Brownie Cups. 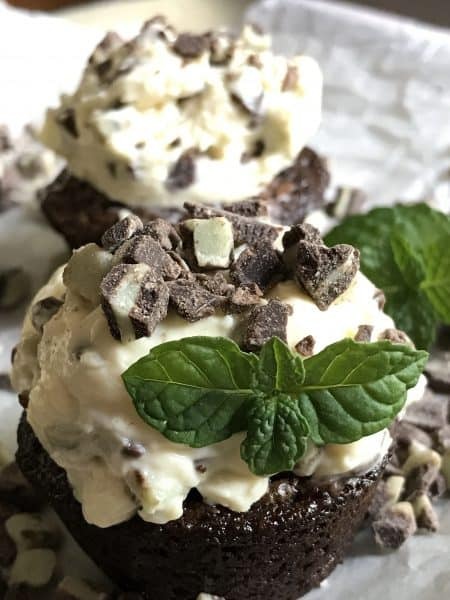 This fast and easy minty dessert is made with only three ingredients…seven if you include the oil, eggs and water called for on the boxed brownie mix and the peppermint extract added to the cheesecake filling. 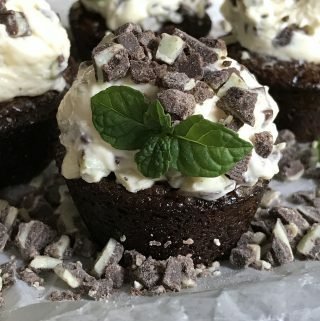 This recipe makes 24 mini brownie cups. 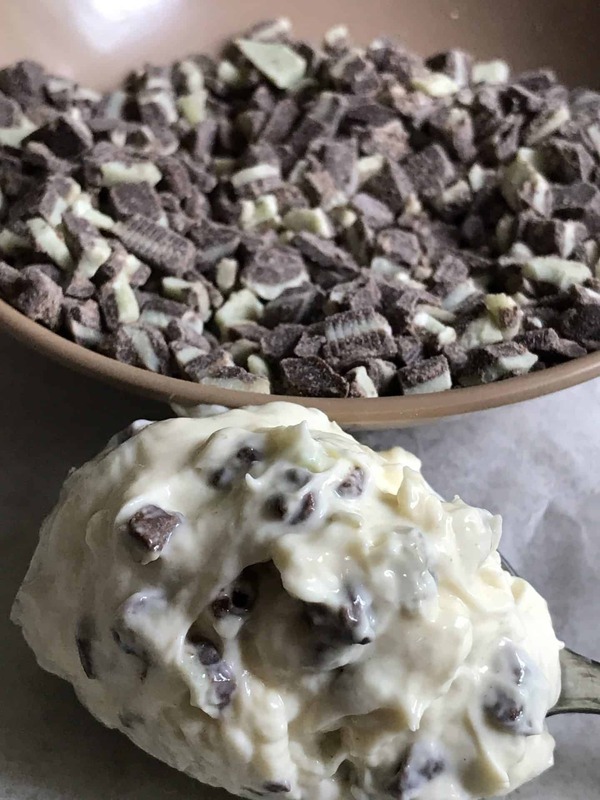 Since I made this recipe for myself, my grandson and my husband, I filled 12 brownie cups with the cheesecake filling and I froze the remaining 12 brownie cups. I could, let me rephrase that, I should have froze 18 brownie cups. Why? Because we each ate four filled brownie cups apiece. (My grandson is only 6 years old!) Two apiece would have been plenty, but they were so darn good! I’m pretty sure that no matter what you filled these tasty mini brownie cups with, they’re going to taste awesome! Just think, you could fill these cups with: ice cream, pudding, peanut butter, whipped cream, fruit or just about anything else you can think of. Heck, my grandson and I liked them just fine empty. With the 12 brownie cups that I froze, I thought I would make a filling of peanut butter, crushed graham crackers and powdered sugar. Basically the same filling I use to make Peanut Butter Balls with at Christmas. Instead of dipping the peanut butter balls into melted chocolate, I’m going to place one peanut butter ball into a mini brownie cup. Then drizzle a chocolate ganache over the top of the peanut butter balls. Sort of like a ‘Buck-eye.’ I’ll be sure to post the recipe when I make them. 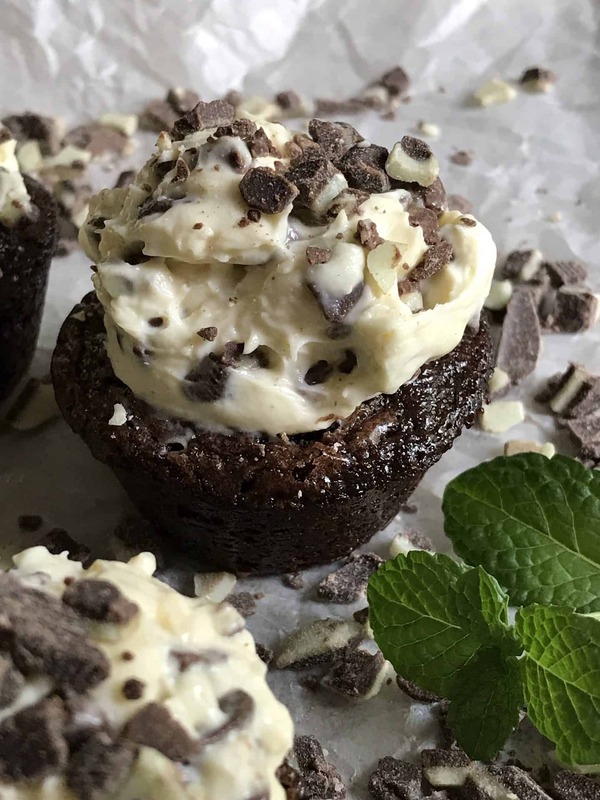 Chocolate, Mint and Cheesecake Filling come together beautifully in these delicious mini, brownie bites. A real flavor sensation! Lightly spray one (24 cup size) mini muffin pan with non-stick cooking spray, set aside. In a medium bowl, stir together brownie mix, chocolate syrup, water, vegetable oil and eggs until well blended. 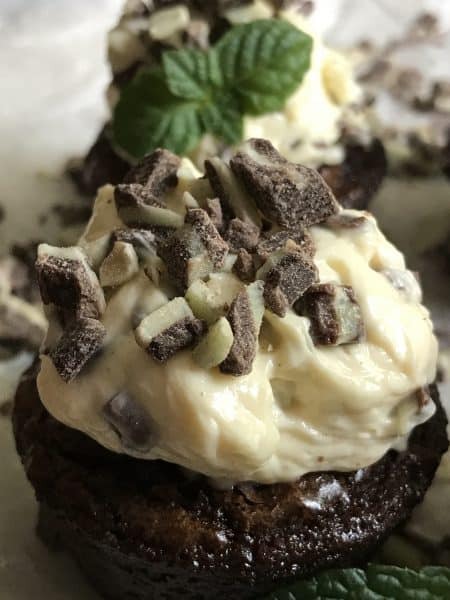 Spoon brownie batter into sprayed muffin tins using a cookie batter scoop or use a tablespoon, filling each mini muffin cup almost to the top. Bake for 20-26 minutes or until toothpick inserted in the middle comes out clean. 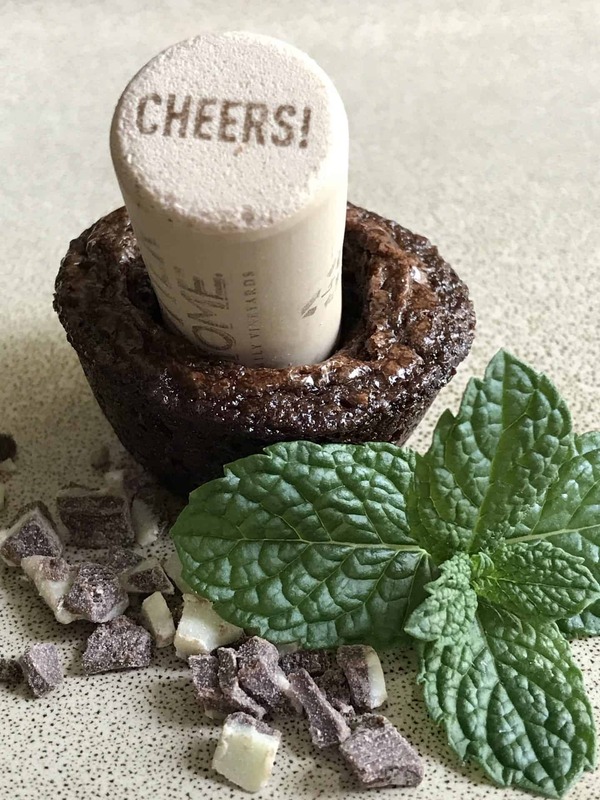 Remove brownies from the oven, immediately insert a clean wine cork, that has been sprayed first with a non-stick cooking spray, into the middle of each brownie cup. Twirl the cork around lightly to form an indentation in each brownie, leaving a nice edge all the way around. Cool brownie cups for about 30 minutes, carefully remove cups from muffin tins and cool completely on a wire rack. Fold chopped Andes Creme De Menthe Baking Chips into Ready to Eat Cheesecake Filling. Carefully place a teaspoon full of the filling into the center of each brownie cup. Garnish with reserved baking chips and a fresh sprig of mint. Looking for more “mini” recipes? Here are some favorites: Lemon Cheesecake Tarts and Frozen Mini Key Lime Tarts.